Q1. Why consider SalaryPlan as a means for obtaining a new vehicle? SalaryPlan enables you to lease a car through your company and pay for lease rentals through your monthly salary. Lease deduction is done from your pre-tax salary which makes your car acquisition plan much more attractive than buying the vehicle outright or applying for a bank loan. Q2. How does the SalaryPlan process work? SalaryPlan is a unique vehicle leasing website designed for corporate employees. It allows employees of empaneled companies to make instant lease quotes, compare vehicle models and lease rentals and lease cars online. Q3. Can I sign-up as an individual? SalaryPlan is available for corporate professionals whose companies are empaneled for this programme. Please contact your company to check if they have enrolled for SalaryPlan. Q4. How do I register myself on the website? To be able to register on SalaryPlan website, your company should be empaneled with LeasePlan. When you register, the system will validate your company’s domain name. Registration on the website is simple. Please look for the ‘Registration’ button on the home page. Please complete the Registration form and submit. Q5. Will leasing a car affect my credit borrowing capacity if I choose to take a loan in the near future? There will be no negative impact on your borrowing capacity as leasing does not have any bearing on your CIBIL score hence keeping your borrowing capacity intact. Q6. How do I get tax benefit on car lease? Lease rentals for your car are deducted from your pre-tax salary, which reduces the overall taxable component (after considering HRA and other savings) of your salary. Depending on your tax bracket, you can save up to 30% on the lease rental amount. Q7. What is the benefit of leasing over loan? While loan EMIs are deducted from your post-tax salary, lease rentals help you save on taxes as these are deducted from your pre-tax income. This means, depending on your tax bracket, you can save up to 30%. Furthermore, you can include accessories and services in your lease package to maximise your tax benefit. There is no down payment required for lease, plus your borrowing capacity/limit for loans remain intact. Q8. What is the documentation required for leasing a car? You will need to submit a Proforma Invoice and your KYC documents (PAN card, License, Aadhar card). Also, depending on your company’s policy, an employer-employee agreement might be required. Q9. How many cars can I get through leasing? Only one lease vehicle per employee is authorised as per the Income Tax Rules. Q10. How does GST impact car lease? There is no impact on car lease vis-à-vis VAT scenario. You can continue to enjoy tax benefits. Q11. Will I get the input tax credit benefit on leasing? As a leasing company, we are entitled to Input Tax Credit. 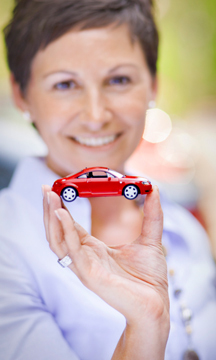 When we calculate the Lease Rental for your car, the benefit of the credit is passed on to you. Accordingly, lease rental is calculated on the base price of the car (ex-showroom minus taxes). Please note, GST charges are applicable on lease rentals and are not subject to Input Tax Credit. If a car costs Rs. 10L (with 3L as GST), then the Lease rental is calculated on base price which is Rs. 7L. In case the Lease Rental amounts to Rs. 15,000, the GST will be applicable on this amount. Q12. Can I add Accessories / Services to my car while leasing it from you? Q13. Is it possible to end the lease during the lease term? Yes, it is possible to foreclose your car lease in between should you so decide. Q14. Can I switch my existing car to SalaryPlan car lease?